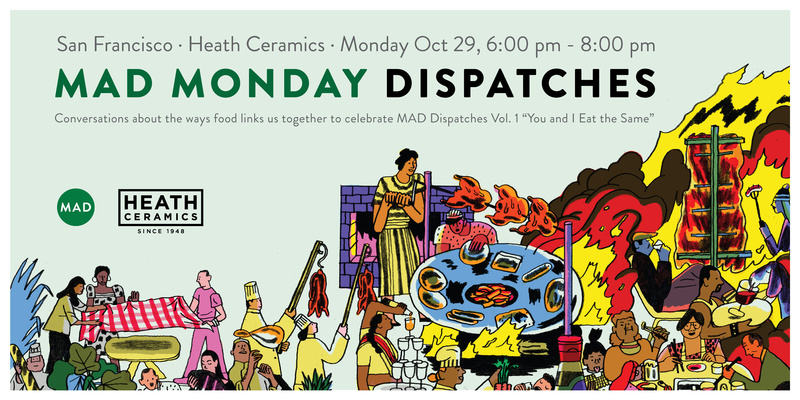 The three upcoming MAD Mondays draw content from Dispatches first volume “You and I Eat The Same”, highlighting how cooking and eating connect us across cultural and political borders. 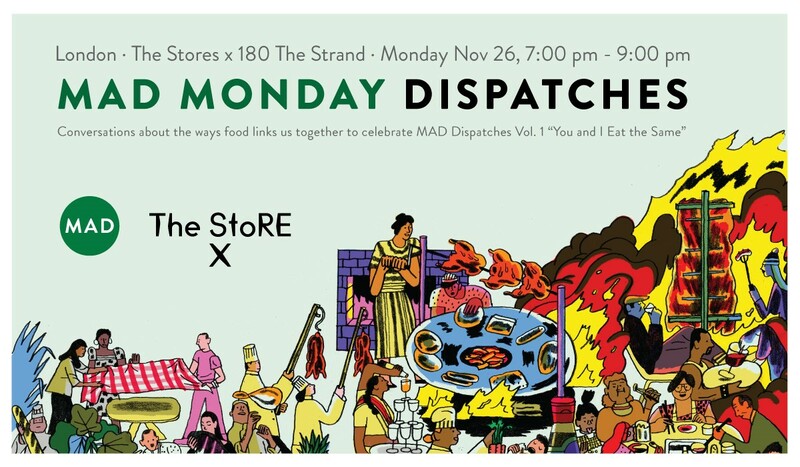 We’ll talk about how good food can be common ground between different cultures and a link between communities, and explore how immigration has built these cities’ rich culinary culture together with the book’s contributors and local experts. 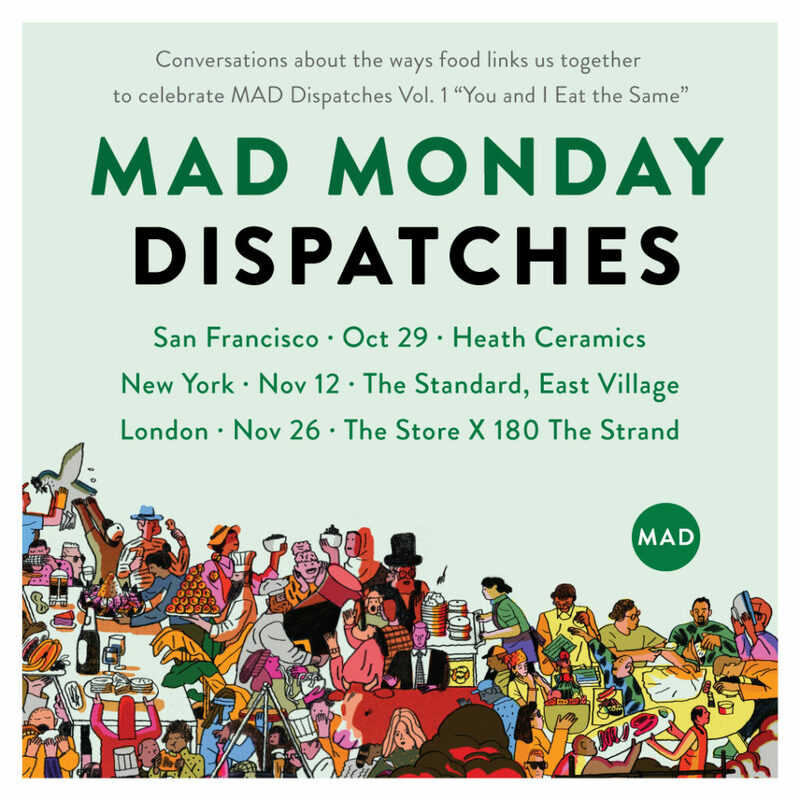 None of this would be possible without the generous support of great local partners & friends: Heath Ceramics in San Francisco, The Standard in New York, and, The Store x 180 The Strand in London, and our partners at Artisan Publishing. Thank you! Additionally, catch our editor Chris Ying for a one-off event in Austin, TX, at the Texas Book Festival on October 27. Tickets for the second MAD Monday in New York at The Standard, East Village are now sold out. Tickets for our London event will be available from November 12.